A small but populous New England state, Connecticut has always punched far above its weight in America’s story. It's the home of Yale University and the birthplace of Mark Twain and Harriet Beecher Stowe to name but a few facts. Mid-way on the road between New York and Boston, visitors to this fascinating state are faced at every turn with evidence of Connecticut’s starring role as a cultural leader of the US. Seekers of the best places to stay in Connecticut have a lot to choose from, and in a whole array of different environments. Parts of the state are very much in the commuter belt of New York City, other parts are genteel villages and towns, while other parts are full of rolling hills and colourful woods and forests (Litchfield is a good place to start if you're looking for rural bliss). Winters here are long, and springs are glorious, full of daffodils, azaleas, dogwood, and the state’s flower: mountain laurel. It’s also a foodie's paradise, particularly renowned for its range of cheeses as well as top quality meat and fruits. Maybe you’re after a romantic inn by the shores of Long Island Sound, or a cruise through the tiny islands sprinkled off its shores (Mystic is a good base)? Or perhaps you're looking to play the tables at the state’s famous casinos or hunt out antiques in the back streets of the university town New Haven - home of the ivy league’s other most prestigious college? In any case, Connecticut has so much going for it, and most of it within commutable distance of the great North Eastern cities. There’s a lot packed in to these 13000 square kilometres: zoos, museums, art galleries, famous architecture, wildlife, colourful boutiques, theatre-going opportunities, fine dining, riverboats and steam trains. Connecticut has a lot to boast about, and more than enough to keep the visitor engaged and entertained for weeks or months. 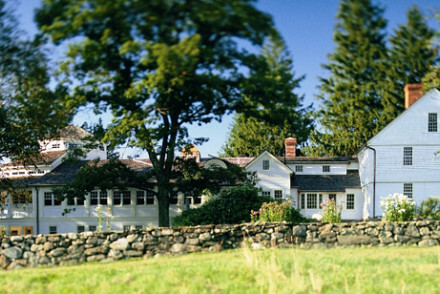 Our pick of the best places to stay in Connecticut comprise mainly historic inns. But we have a wide selection, with something for all tastes and budges. Ideally located just where the Mystic River meets Long Island Sound The Whaler’s Inn in Mystic, is the perfect place to sit and watch the boats go by. 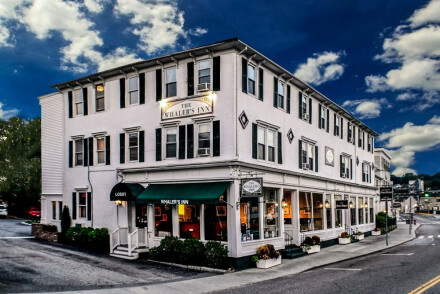 Full of old world maritime charm, the Whaler’s Inn is testament to Mystic’s 300-plus years as one of New England’s premier fishing and whaling ports. 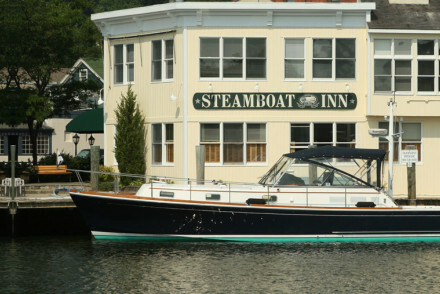 Also in Mystic, The Steamboat Inn is a delightful, unpretentious, warm and welcoming place, with fabulous views of the waterborne traffic on this old American waterway. Surely one of the best-presented hotels in New England, Winvian Farm, near Litchfield, has everything going for it, including a wonderful back-story that stretches into the 18th Century, via the ingenuity of a single family of owners dedicated to bringing you the most luxurious of stays. Famous for its food as well as its ambiance, Winvian prides itself on healthy organic produce, all presented with a masterly hotelier's touch. 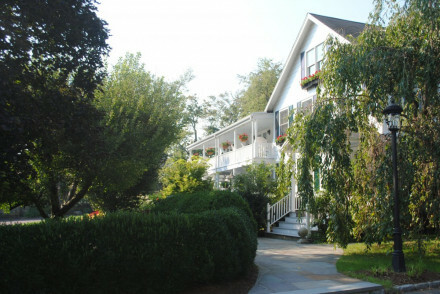 The Bee and Thistle Inn in Old Lyme, is a prime destination for well-heeled seekers of the finest dining experiences. Its Chestnut Grille and Lounge, with weekly-changing menu, has a great name in these parts. Nestled in the Connecticut River Valley, this beautiful colonial-style mini-mansion offers fresh local and season ingredients from the surrounding area. The ideal spot for indulgent and peaceful rejuvenation, Grace Mayflower Inn and Spa is a stunning country resort set in over 50 acres of woodland, with beautifully maintained gardens. A fabulous spa and rich homely furnishings make it the perfect place to chill with your girlfriends. 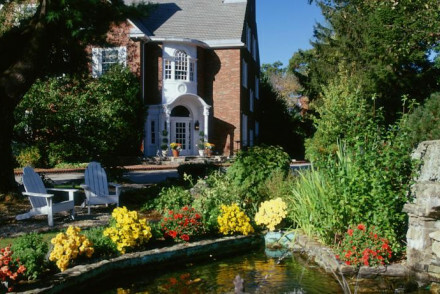 The Spa at Norwich Inn is a historic hideaway hotel, widely known as a great place to relax, rejuvenate, and renew yourself amid wonderful garden settings. The large, comfortable rooms with private balconies make it a great choice for a romantic weekend, a co-workers outing or a mother-daughter catch-up over spa treatments. An amazing 37 treatment rooms plus all the usual spa perks, and fitness facilities - all the better to pamper and relax you to the core. Greenwich, Connecticut is one of the East Coast’s most upmarket communities, so a luxury hotel here has to be something special. Homestead Inn is a place for those who like the finer things in life. Located in the Belle Haven residential area, Homestead has an air of timeless luxury, complemented by a renowned French restaurant, with each room full of art and artefacts, and views onto gorgeous gardens. Simsbury 1820 House had a long and distinguished history before becoming a hotel in the 1960s. 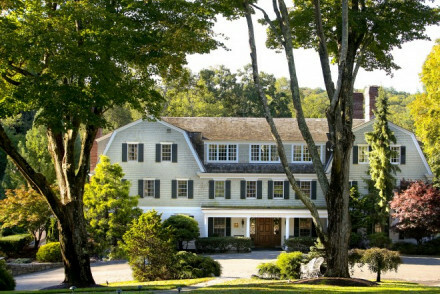 Now guests get to benefit from the timeless elegance of this New England country inn, with its roaring fires and four poster beds. It offers the best of both worlds in terms of historical ambiance and top level amenities, not to mention delicious food. Still can’t decide on your Connecticut dream destination? Browse through our pick of the best places to stay in Connecticut or contact one of our friendly gurus for advice. Made up of five charming Victorian buildings in the historic downtown of Mystic. Each individually decorated room features a range of antique touches, the more plush have fireplaces and deep soaking tubs! Which ever building you choose this is the perfect spot to explore Mystic like a local. Sights nearby - Visit the world famous Mystic Seaport Museum of America and the Sea. Fishing - Charter a fishing boat with Blue Venture Fishing. Sailing - Charter a yacht at Argia Mystic Cruises. 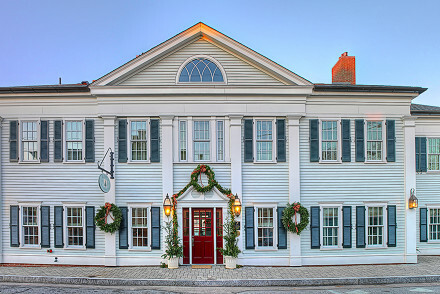 An enchanting riverside Inn, located in the heart of Historic Downtown Mystic. The inn features light and spacious rooms commanding spectacular views of the Mystic River. No better place from which to explore this historic town. Sights nearby - Mystic Seaport , The Museum of America and the Sea and Florence Griswold Museum. Sailing - Charter a sailing boat at Argia Mystic Cruises. 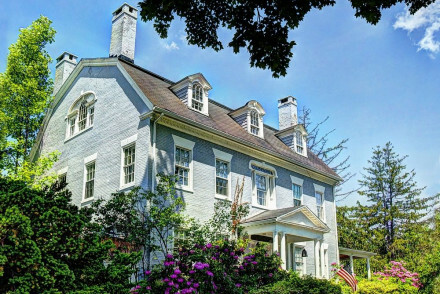 An elegantly restored B&B overlooking the Farmington Valley. The retro chic rooms feature plush draped fourposters, bold wallpaper, soft tones and quaint antique furnishings. Breakfast is served either in the charming cafe or on the stately veranda. The quintessential New England experience. Sights nearby - Hill-Stead Museum, Wadsworth Atheneum and Mark Twain House. Relax, rejuvenate, renew, surrounded by manicured gardens, two pools and spa treatments for days. The large, comfortable rooms have private balconies. Kensington's is classic style meets comfort cuisine. Escape for a romantic weekend, girl’s holiday or a mother-daughter catch-up over spa treatments. Sights nearby - Slater Memorial Museum for art exhibits. Traditional hotel, a renovated country house set in over 50 acres of woodland and immaculately manicured gardens. The spacious rooms are classic in style, many with four-poster beds and rich, homely furnishings. The spa is sleek and the restaurant serves fine fare in a contemporary dining space. This 16th century Inn has been lovingly maintained over the years, with each generation adding something to the charm. The decor is retro chic, think four poster beds, fire places and floral wallpaper. The perfect location for weddings, spa weekends and gourmet dinning. Prepare to be pampered! Great walks - Rocky Neck State Park is about ten minutes away offering beaches, hiking and picnic areas. Sights nearby - Take the ferry across the Connecticut river from Chester to visit Gillette Castle. Spa - Bonne Sante for Bee & Thistle. The Inn at Stonington is a charming 18 bedroom spot overlooking the sea. Boasting a waterfront location, the property features elegant rooms with wonderful views! Head off on the wine trail and learn more about the area's best vineyards. A stunningly romantic spot! Luxury boutique in manicured gardens giving an overall European flair. Unique rooms, with antiques and art works, styled to leave guests feeling pampered. Contemporary award-winning French restaurant accompanied by a fantastic wine list. Great spot to relax and base one's self for local exploring. Sights nearby - Head down to the beach for a leisurely stroll or hotel-made picnic. 1775 farmhouse resting in 113 acres of activity filled countryside. The unique, intimate cottages have private sitting rooms, fireplaces, bathtubs and rain showers. Seed to plate restaurant offers a seasonal menu and brilliant bar. Visit the spa or head into the wilderness for family exploring. Cooking classes - Executive Chef Chris Eddy has had classic French training and will share some of his secrets with guests. Kayaking - Canoe or Kayak on the expansive Bantam Lake. Great walks - 113 acres of walking and activities.